The Microsoft (MSDN) MVP blog decided to quote one of my posts on the Microsoft SharePoint Conference this year. 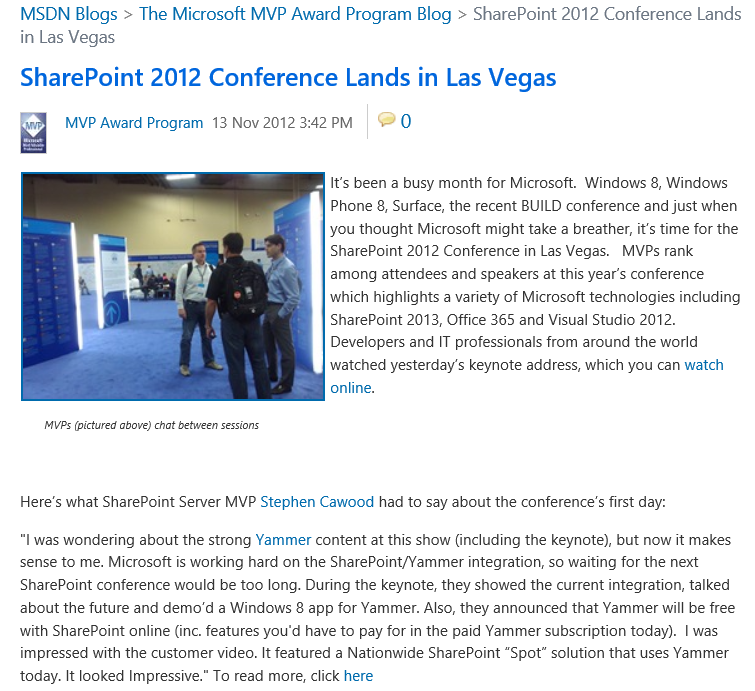 My post is called SharePoint Conference as an Attendee. I also wrote another called Wading into the SharePoint Conference and I’ll be posting some notes from the sessions I attended. For example, SharePoint 2013 Conference–Upgrade Deep Dive.